TOKYO (JAXA PR) — At 6:06:11 a.m. (Japan Standard Time) January 18, 2017, JAXA launched Epsilon-3, the third Epsilon launch vehicle which encapsulates NEC Small radar satellite “ASNARO-2”, from the JAXA Uchinoura Space Center. 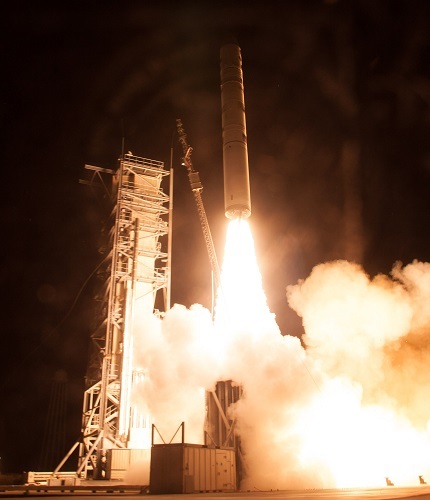 The launch occurred on time. ASNARO-2 was developed by NEC Corporation as part of the project funded by Japanese Ministry of Economy, Trade and Industry. 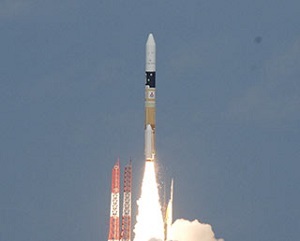 JAXA, NEC Corporation’s contractor, was in charge of this launch. The original Japan Fiscal Year 2015 budget was approved by the Cabinet on Jan. 14. JAXA’s total budget is 154.1 billion yen [$1.29 billion], about 400 million [3.35 million] less than that of JFY 2014 of 154.5 billion yen [$1.3 billion]. However, a supplementary budget of 29.9 billion yen [$250 million] was already set, thus the total will be 184 billion yen [$1.54 billion]. So, incorporating the supplementary budgets, the JFY 2015 JAXA budget is about a 2.5 billion yen [$21 million] increase from the 2014 budged of 181.5 billion yen [$1.52 billion]. 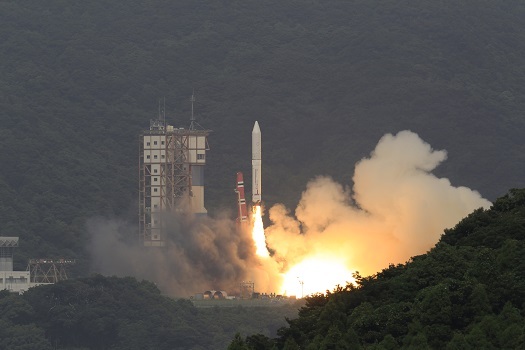 Flush from its inaugural launch in September, JAXA’s new Epsilon launch vehicle has received prizes from two different organizations. 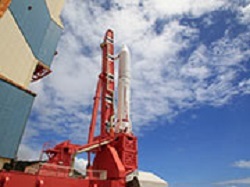 The Epsilon launch vehicle recently received the Nikkei Award for Excellence at the 2013 Nikkei Superior Products and Services Awards (the 32nd event). The rocket was also honored with the Gold Award in the JFY 2013 Good Design competition. Morita says the prototype Epsilon rocket, known as the E-X, is able to loft 1.2 metric tons to orbit for about $38 million (¥3.8 billion), though the inaugural mission launched this month from Japan’s Uchinoura Space Center cost closer to $53 million, a figure he says includes the rocket’s intensive test regime. By 2015, however, JAXA plans to launch an interim variant of the three-stage Epsilon, known as the E-1 Dash, which will incorporate enhancements, including lighter avionics components, to deliver payloads weighing 1.4 metric tons to low Earth orbit for $38 million per launch. If these missions go well, JAXA hopes to debut a more powerful version of Epsilon in 2017 that will deliver 1.8 metric tons to low Earth orbit for $30 million per launch. 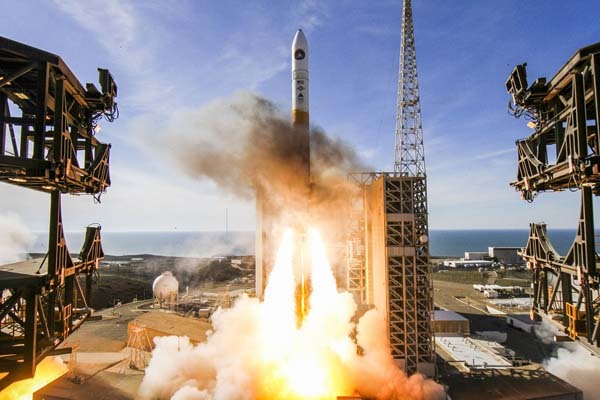 Europe’s new Vega rocket, capable of launching up to 2.5 metric tons into low Earth orbit, costs approximately €32 million ($42 million) per flight. 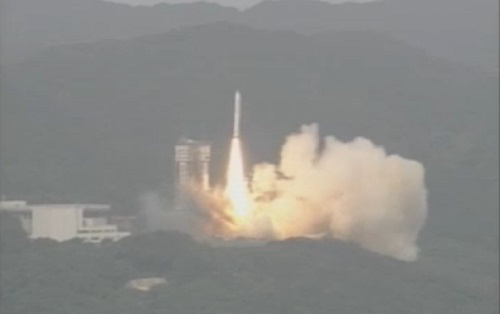 Japan’s newest rocket, Epsilon, roared off the launch pad in Kagoshima Prefecture at 2 p.m. JST (1 a.m. EDT) Saturday. 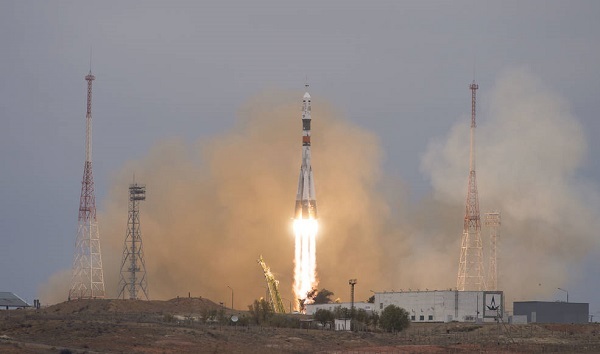 Twelve minutes after liftoff, officials reported the burnout of the rocket’s third stage, which putting the Spectroscopic Planet Observatory for Recognition of Interaction of Atmosphere (SPRINT-A) satellite under the control of the Post-Boost Stage (PBS). The PBS will make two burns to optimize the spacecraft’s orbit. 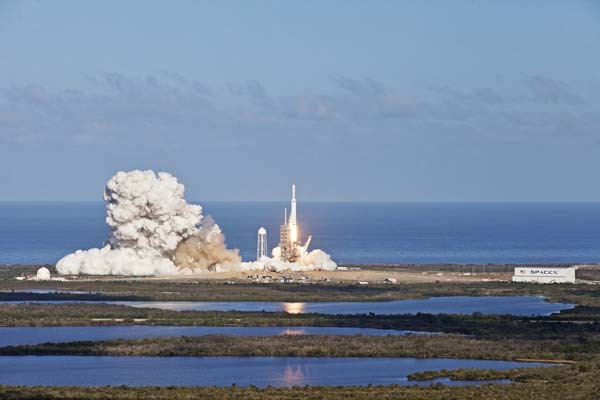 The advanced, solid-fuel Epsilon rocket is highly automated and is being billed as a relatively inexpensive system for launching small payloads into orbit. 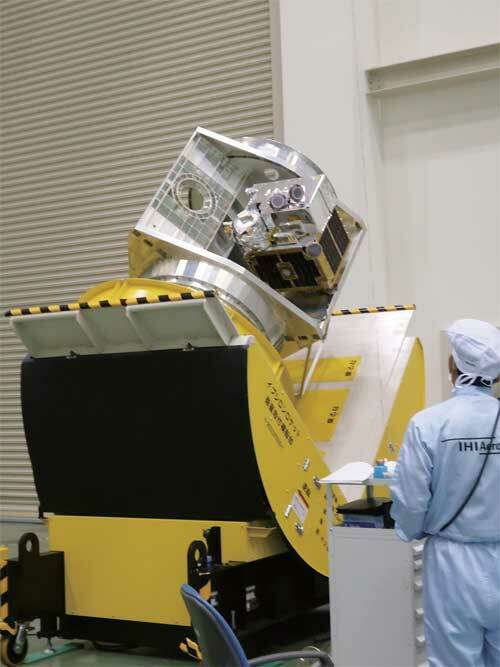 JAXA will broadcast the launch of the first Epsilon Launch Vehicle (Epsilon-1) with the Spectroscopic Planet Observatory for Recognition of Interaction of Atmosphere (SPRINT-A) on board from the Uchinoura Space Center through the Internet. The webcast can be viewed here. The above schedule is subject to change due to the preparation status and weather conditions. 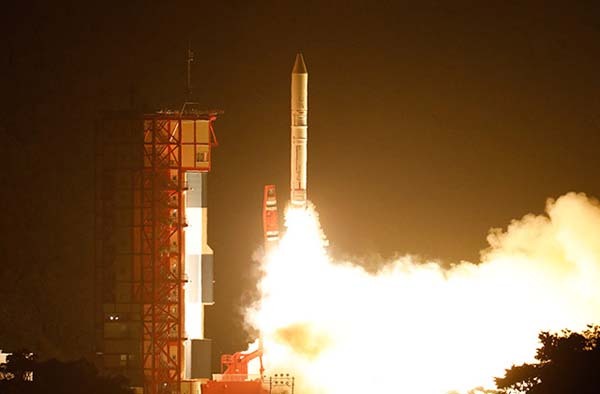 TOKYO (JAXA PR) — The Japan Aerospace Exploration Agency (JAXA) decided to postpone the launch of the first Epsilon Launch Vehicle (Epsilon-1) with the Spectroscopic Planet Observatory for Recognition of Interaction of Atmosphere (SPRINT-A) onboard on August 27 from the Uchinoura Space Center. As a result of our cause investigation of the postponement and re-examination of the Epsilon-1, the new launch date will be September 14, 2013 (Japan Standard Time) or later. TOKYO (JAXA PR) — The Japan Aerospace Exploration Agency (JAXA) cancelled today’s launch of the first Epsilon Launch Vehicle (Epsilon-1) with the Spectroscopic Planet Observatory for Recognition of Interaction of Atmosphere (SPRINT-A) onboard from the Uchinoura Space Center, because an automatic stop alarm was issued as an attitude abnormality was detected approximately 19 seconds prior to the liftoff time during the automatic countdown sequence. The launch had been originally scheduled for 1:45:00 p.m. today (Japan Standard Time).